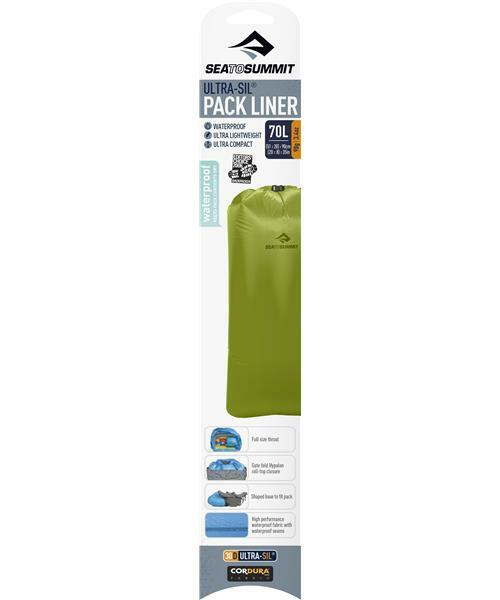 The Ultra-Sil™ Pack Liner won the prestigious Backpacker Editors' Choice award in 2006 and this award winner is an excellent solution for keeping contents of your pack dry. It's made of 30D Ultra-Sil™ Cordura® brand fabric, making it super lightweight and is an oval shape to fit inside packs easier. The extra wide opening roll-top closure folds in three before being rolled and sealed with the low profile buckles.